150cc XRS Available in Black with Alloys Limited Stock! VIDEO of 150cc XRS Trailmaster in ACTION!! 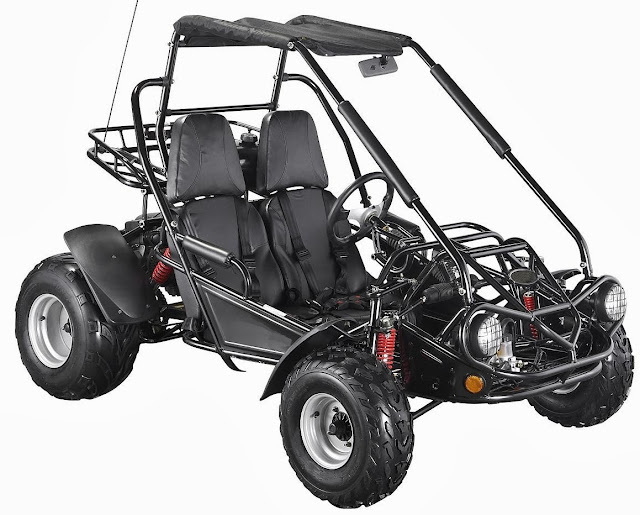 Electric Start, Dual Headlights, Fenders, Adjustable independent seats, adjustable steering column, aggressive tires & canopy top.